Flavorful, delicious chicken tikka masala made easily in your slow cooker. This beautiful recipe is perfect for making ahead of time and enjoying throughout the week. 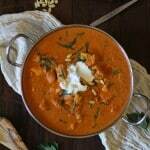 A crock pot version of chicken tikka masala has been on my To Make list for a long time. First off, it’s my favorite Indian dish. Secondly, I feel like Indian food in general turns out superbly in the crock pot. Thirdly, I absolutely LOVE lazy man meals that yield leftovers. 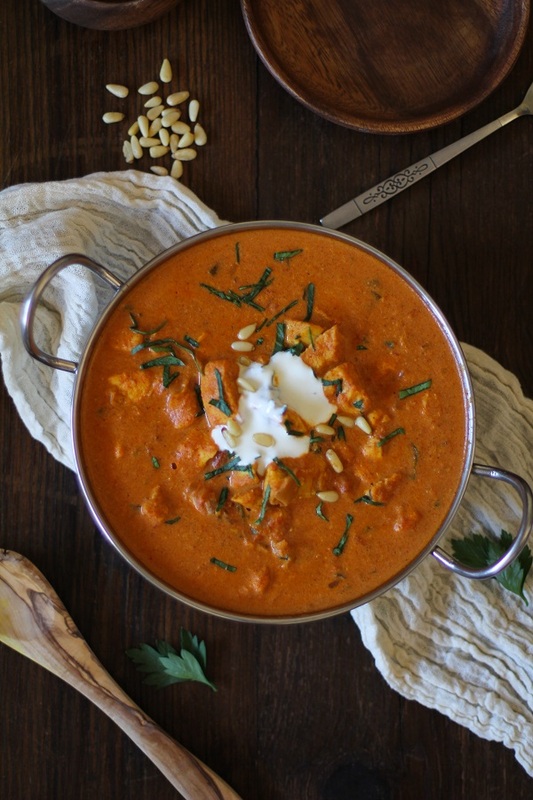 In case you’ve never heard of or tried Chicken Tikka Masala, it is a classic Indian dish of tender chicken lavished in creamy tomato Indian-spiced sauce. It melts in yo mouf. The word, tikka means pieces of meat, or as I like say, chunks of lovejoy. Just kidding, I don’t talk like that. Legit chicken tikka masala takes about seventy thousand years to make, because it involves marinating the chicken, roasting, and then slow cooking. The result of the authentic version plays a number on your heart strings; however, for this recipe, we’ve got things to do, man, so we skip the time-consuming steps and go straight to the slow cooking. This involves putting every ingredient in your crock pot and turning the dang thing on. Boom! Football food. < – roll with it. I enjoyed my tikka with Ginger and Turmeric Aromatic Rice. Bombshells of gypsy magic explode in your mouth. Do these two recipes together is my recommendation! Although I was kind of jesting about the football food thing, this actually is the perfect food to serve to your football buds this weekend. It feeds a crowd and is super filling. Plus is requires zero effort. No one will be digging through your pantry in hot pursuit of the pretzels and peanut butter. Crock pot chicken tikka masala wards off pantry pirates. If you aren’t footballing anytime soon, you can save the recipe for the winter months or make this the next time you’re in dire need of comfort food. It’s just.so.comfortable. P.S. Don’t be intimidated by the looooong list of ingredients – they’re mostly spices and you probably have all of them on-hand already! P.P.S. If you make the turmeric rice, double the recipe if you’re serving it to more than 4 people. P.P.P. S. Have a beautiful weekend! 5 cloves garlic peeled and minced. Pour everything into a crock pot and set on the lowest setting for 4 to 6 hours, until meat is cooked through. (If cooking on high, check after 2 hours, and continue checking every 30 minutes thereafter. It should only take between 2 and 3 hours). Add the cream mixture and yogurt to the crock pot and stir well. Replace the lid and finish cooking, stirring occasionally. The longer the mixture sits, the thicker it will become. Note: if necessary, raise the heat of your crock pot to high. Serve with fresh chopped cilantro, a dollup of plain yogurt, and turmeric ginger rice. **You can replace the tapioca flour with corn starch. If you choose to do so, note that tapioca and corn starch are not a 1:1 replacement, so the amount or corn starch you need to use may be slightly more or less than the amount of tapioca flour. I used a basic Hamilton Beach 6-quart crock pot to make the chicken tikka masala. The low setting on this crock pot is very low, so you may need to make time adjustments based on your own crock pot. I love, love, love this kind of food. I never use my crock pot so I’m saving this recipe and gonna give it a try!!! Oooh, I bet your whole house smelled amazing while this was cooking! Love all the spices, and love how simple this is to make! Oh man this looks so good. I want to dive into that sauce! Love me a good “throw everything in the crockpot” meal! Chicken tikka….sooooooooooooo good! Oh man, when I was pregnant, I ate chicken tikka masala all the time. After my OB appointment, I would hit the Indian Buffet. There must have been something in it that I needed, because I put so much of that stuff away it was embarrassing. 🙂 This looks amazing! are crammed. BUT I like to eat good tasting dishes. This is a perfect dish for me. Um yes x 1000!?!?! We love Indian food but it’s hard to make it at home. I would love to try a crockpot version of one of our favorites! I want to get all of this tikka masala into my belly this weekend. Including the chunks of lovejoy. This looks absolutely wonderful. I am going to make it as soon as humanely possible! This sounds so yummy and your pictures are beautiful! Thanks so much for the feedback and I’m glad you tried the recipe. Out of curiosity, did you use whole milk Greek yogurt and heavy whipping cream in the recipe? Did you use corn starch or tapioca starch? I should have noted this in the recipe, but both the low and the high setting on my crock pot tend to cook at a lower temperature than most crock pots, so I’m wondering if this had something to do with it. The chicken came out extraordinarily tender and the sauce very thick and creamy. Additionally, the sauce only got thicker and more flavorful as the leftovers sat in the refrigerator. 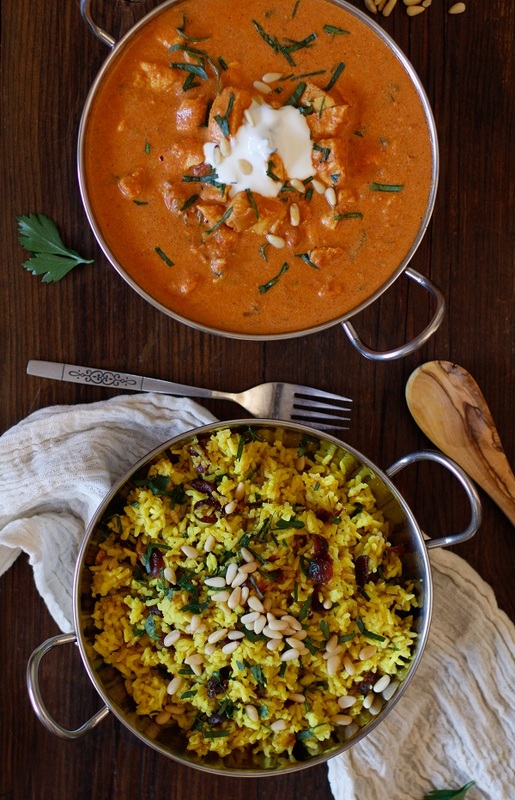 I freakin’ love tikka masala – and I love anything that’s easy peasy and onepot goodness. Cheers! I’m holding my bowl out–fill her up! Ooh, and I just made your Gluten Free Lemon Poppyseed Muffins and they have come out really interestingly textured! Kind of fluffy and stretchy with a crispy outside. They are delicious but the texture is very unusual. Did you experience this? I wonder if it is because of the GF flour blend I used? (didn’t have Bob’s Red Mill brand on hand). Beautiful website by the way! Thanks for your interest! 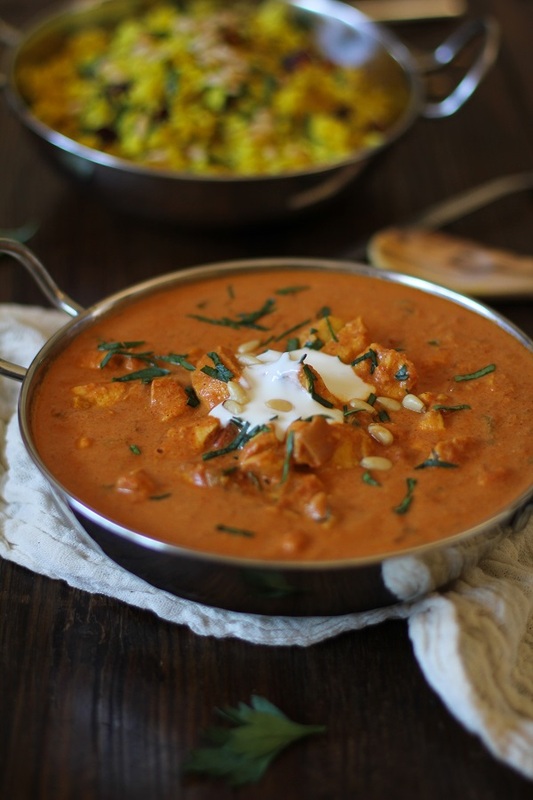 You can definitely make chicken tikka masala without a crock pot. I would start by sauteeing the onion, garlic, ginger, and turmeric in a large pot, then add the rest of your ingredients. Bring to a gentle boil, then simmer on a low temperature for 30 to 45 minutes. You may not get as rich of a flavor, but my guess is it will taste great. In terms of the lemon poppy seed bread: I’m sorry it turned out with a strange consistency! My guess is this was definitely the flour blend, because if anything, mine had a slight crumble to it…still moist, but a bit crumbly. Let me know if you try it again using a different blend! I saw your comment (and recent recipe link) over at Everday Maven, and just had to come and read the recipe. So lovely, and a perfect family meal. I will try this with boneless thighs to make this almost a budget mea. Pinning etc. Do we think this might work with paneer in lieu in chicken? There is only one way to find out. Cue the theme song. MMMMM! 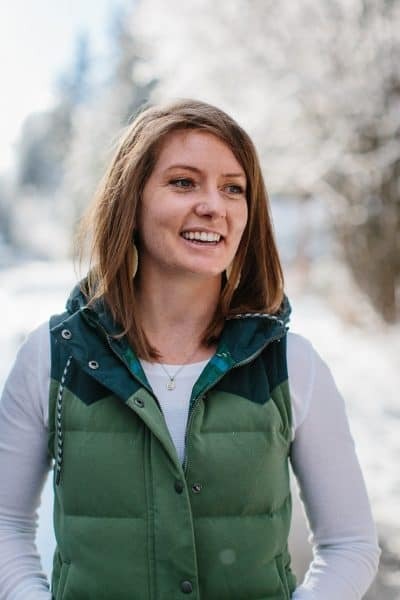 All those adjustments sound amazing, Kristin! I’m so glad you experimented with the recipe, and I’m thinking my next go with it will have to include your peas and garbanzo beans idea. I bet the honey would be a nice contrast to the spice as well! Thanks again and enjoy the rest of your week! Looks great, can’t wait to try it! I have the garam masala spice handy…do you happen to know which of the listed spices this would replace? Thanks for the great recipe. I made this for dinner as-is, no changes/substitutions, and it turned out wonderfully. Such a “quick” slow cooker recipe too. Mine took about 2.5 hours on high. I’m going to make this recipe this weekend! Do you use goat milk yogurt? Greek yogurt? Which full fat yogurt do you recommend? So glad you’re making the tikka masla this weekend!! I used whole milk plain yogurt, but I bet Greek yogurt would work just fine, too 🙂 Let me know what you think! So glad you’re planning on making the tikka masala! Because the bulk of the fat in this recipe comes from the cream, you’d have to take some of it out in order to lighten the calorie load; however, doing so will effect both the texture and the taste of the meal. As long as you’re okay with that, simply use less cream, or substitute some of the cream for lite coconut milk. Let me know how it turns out! Thanks!!! I thought I’d report back – overall this was a success! I decided to substitute fat-free greek yogurt for the full fat yogurt, and mixed 1/2 heavy cream and 1/2 fat free cream. I have to say that it came out delicious and quite rich tasting. 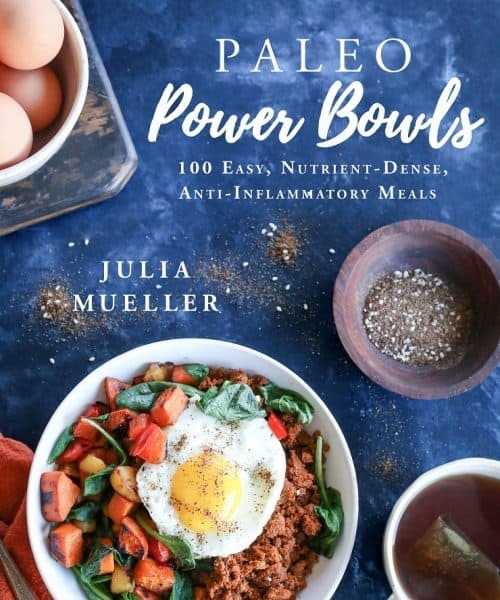 In the interest of full disclosure, my husband and I generally stick to a low fat diet, so perhaps we are more “used” to the taste of lighter recipes but for those that are watching what you eat, I would definitely recommend trying this. I also reserved a bunch of sauce for the freezer and will make it with vegetables or paneer next week. I made double the batch as I typically like to have dinner made for the work week, and the only minor snafu I ran into was the slow cooker time – mine needed to be cooked for 3.5 hours on high, not 2 . Again, perhaps that’s because I made more meat. this sounds amazing! i need to make it! what do you think could be a good substitute for the heavy cream to make it dairy free? coconut milk? Hi Elena! Yup, you can use full-fat canned coconut milk. I’ve made a coconut milk version, and it turned out great. 🙂 Enjoy! I’m planning on making this recipe in my cricket tomorrow while I’m at work. There isn’t as much sauce as I expected. Will it be OK leaving it on low for 8 hours if the chicken is in frozen chopped up chunks or would you recommend adding a little chicken broth/stock? If it doesn’t look like there’s enough sauce, I’d say it’d be fine to add some chicken broth, or some more coconut milk. I’d think 8 hours would be a bit much, even with frozen chicken, but it’s tough to say as all crock pots seem to work differently. If you’ve cooked chicken breast on low for 8 hours in the past and the meat turned out tender rather than tough, I’d say you’d be fine! Do you know if substituting garam masala for any of the spices is ok? How much do you think would be approprate? Hi Jenna, I bet you could take out a few of the spices, and add garam masala, for sure! Sounds delicious! I’d say maybe take out the cumin, cardamom, and cinnamon, and add 2 teaspoons of garam masala. Let me know how it turns out! I tried this tonight – followed the recipie except I left out the jalepeneo because I hate their taste. In the end, I was fairly happy with the spice level before I added the cream & yogurt. After adding those elements I lost most of that flavor. Do you have any suggestions about adding heat or spice that don’t use jalepeneos or bell peppers (I’ve seen those used as well in Indian food and likewise despise their taste). I love spicy food and would love to be able to up the heat on this otherwise awesome dish! Pingback: July 31st – August 5th – Dinner's on! Pingback: August 7th – 12th – Dinner's on! Yum. I have had this recipe bookmarked for awhile and finally made it tonight. It was amazing. I made it with the aromatic rice sans lemon and cranberries (picky kids). The rice was quite possibly the best rice I’ve ever made. I cooked the chicken tikka masala on high for about 3 hours. It was very tender. I imagine the flavors will only get better with the leftovers. Wonderful recipe. Thanks. I’m so happy you like it, Katrina!! The flavor does become even better after it refrigerates for a while..one of my favorite recipes to make in bulk and enjoy over the week, for sure! I pinned this recipe 3 years ago and have made it dozens of times since. It is a huge hit at my house! The best part is that it is a pretty forgiving recipe. For example, tonight I forgot about the yogurt to be added toward the end of cooking, so I added some sour cream right before serving and it still came out great. Other times I have been out of one of the spices and have been able to substitute or skip without the dish suffering. Paired with the ginger/turmeric rice, this dish is nirvana.